Could cannabis be key to combat the opioid crisis? Weed’s legal forays began in the medical space as a way to treat chronic pain and anxiety, among other conditions. Today, with the drug showing positive effects on an ever-expanding litany of ailments from epilepsy to cancer, there’s also growing research showing that there are specific constituents in cannabis which may have a profound impact on controlling the addictive effects of opioids, and possibly serving as a treatment for opioid dependence and withdrawal. Steven Laviolette, Western University professor in neuroscience, writes in a recent op-ed in The Conversation that the interactions between opioids and cannabis have been explored on clinical and pharmacological levels for decades. However, marijuana’s potential to modulate the addictive effects of a much harder opioid class drug such as heroin or fentanyl, or to potentially reduce opioid cravings, is only just beginning to be explored. There are encouraging signs. In a landmark 2014 study, a team of researchers analysed data from across the US over a 10-year period. They found that states with legalised medical cannabis saw 25% fewer opioid-related deaths than states where it remained illegal. These findings made way for others to investigate associations between US medical cannabis laws and reduced state-level estimates of opioid prescriptions, misuse and dependence, as well as opioid-related hospitalisations and non-fatal overdoses. Opioid overdose trends have also changed following recreational cannabis legalisation in some US states, Laviolette says. For example, a recent study found that opioid-related deaths in Colorado were (modestly) reduced relative to two comparison states in the short term following recreational pot legalisation. University of British Columbia academics, M-J Milloy and Stephanie Lake, point to the situation in Canada, where recreational pot was legalised in October, suggesting ­that this could be a salient opportunity to use the drug to tackle the country’s opioid crisis. Correspondingly, scientists from the purviews of public health, medicine and economics are “aiming to figure out if cannabis legalisation could be part of the solution”. Globally, prescription opioid pain relievers are among the most commonly misused and abused medicines. In North America, Australia and New Zealand, their illicit usage outpaces that of heroin, which produces a similar high. Like heroin, moreover, recreational use of these kinds of products can pose serious health risks, including death. According to the World Health Organisation, there were an estimated 27 million people who experienced opioid use disorders in 2016. In the 1990s, pharmaceutical companies began to develop slow-release formulations of opioids (OxyContin, for example) and marketed them as safe and effective medications for the treatment of chronic non-cancer pain. While opioids are now known to carry a high risk of dependence and overdose, more than 20 million opioid prescriptions are still filled each year in Canada alone. Overdose deaths contribute to between roughly a third and a half of all drug-related deaths, which are attributable in most cases to opioids. There are effective treatments for opioid dependence, yet less than 10% of people who need such treatment are receiving it. Canada is the world's second-largest per capita consumer of opioids. Almost one in five Canadians live with some form of chronic pain. Drug overdoses are now the leading cause of death among Americans under the age of 50, and prescription opioids are involved in nearly half of these deaths, according to the Centers for Disease Control and Prevention (CDC). 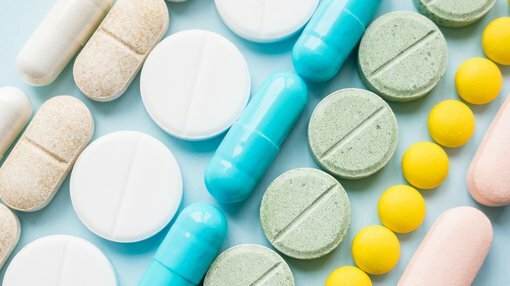 With those numbers in mind, a study by Milloy, Lake and others published in September showed that highly marginalised patients on “opioid agonist therapy,” with the drugs methadone or suboxone, were more likely remain on their treatment six months later if they were using cannabis on a daily basis. Lavoilette highlights the well-understood pharmacology and psychotropic profiles of both THC (tetrahydrocannabinol) and CBD (cannabidiol). For instance, THC is considered to be the main psychoactive chemical in marijuana, responsible for its intoxicating effects and rewarding and dependence-producing properties. In contrast, CBD has been shown to counteract the psychoactive side-effects of THC. Laviolette explains that research with rats has shown that adolescent exposure to THC can lead to a long-term hyperactive state of the brain’s dopamine pathways. These are critical to many psychiatric disorders like schizophrenia and are also partially responsible for the rewarding and addictive properties of opioids. “The story becomes even more interesting when we consider the effects of cannabinoid signals in specific brain circuits,” he adds. In contrast, CBD has been shown to strongly inhibit the brain’s dopamine pathways and may possess anti-addiction potential. Interestingly, research also shows that CBD can work within the body to reduce convulsions, anxiety, and nausea–related symptoms associated with detoxing. According to Lavoilette, there is already promising data from human clinical studies suggesting that CBD could indeed act as a promising treatment for opioid-related addictive behaviours, although he cautions that we need to improve our understanding of precisely how THC and CBD are producing their effects. In a paper published in Trends in Neurosciences earlier this year, neuroscientist Yasmin Hurd – whose own research suggests that CBD reduces heroin cravings and restores neurobiological damage – blames the reluctance to acknowledge CBD’s effectiveness on the scientific community’s exclusions from policy-making discourse. Like Chen, Hurd argues that “legalisation has outpaced the science”. She calls for a structure to “fast track” clinical CBD – and, importantly, to make trials looking at this particular cannabinoid a priority. Hurd suggests that until the scientific and medical communities are permitted to take a more leading role, safe and efficacious therapies will remain out of reach.